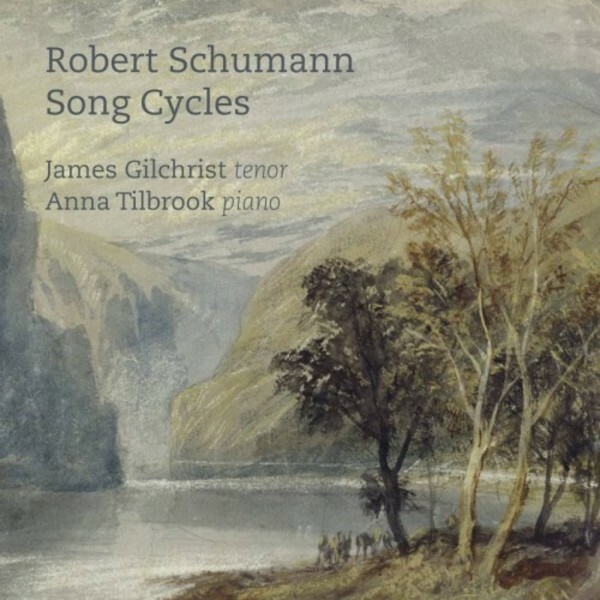 James Gilchrist’s latest recording for Linn encompasses three of the greatest examples of the song cycle genre. Moving away from English song into the core Germanic Lieder repertoire, James’s expressive tenor voice is ideally suited to showcase the emotional nuances of Schumann’s vocal writing. Liederkreis shows Schumann at his most lyrical and deeply romantic; incredibly Op.24 was his first published vocal composition. Dichterliebe, Schumann’s best-known song cycle, is regarded as one of the finest in the German language, notable for its perfect pairing of Heinrich Heine’s poetry with Schumann’s music. A prolific and versatile recitalist, James has frequently performed Lieder repertoire. He has appeared with many of the world’s most prestigious ensembles and under several leading conductors at venues including Wigmore Hall, Snape Maltings and Perth Concert Hall. James is sought after for operatic roles, ensemble performances and as a respected recitalist. On both concert platform and operatic stage, his repertory ranges from Monteverdi to new commissions, and he has appeared with, among others, the Sixteen, the Academy of Ancient Music, the Royal Concertgebouw Orchestra and English National Opera. James has previously recorded works by Gerald Finzi, Ralph Vaughan Williams Kenneth Leighton, Ivor Gurney, Arthur Bliss and Peter Warlock and has uncovered the beautiful songs of Muriel Herbert. Anna Tilbrook is one of Britain's most exciting pianists, with a considerable reputation in song recitals and chamber music. She made her debut at Wigmore Hall in 1999 and has since become a regular performer at Europe’s major concert halls and festivals.